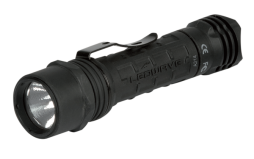 Compact, 2nd generation LED 3V. 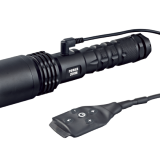 With anti-roll system. 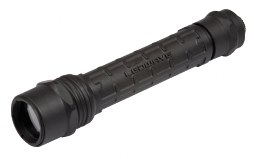 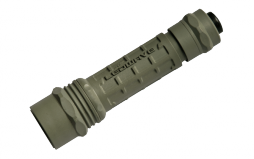 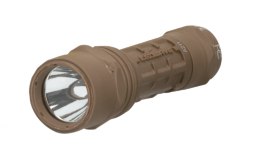 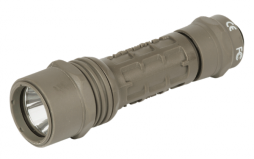 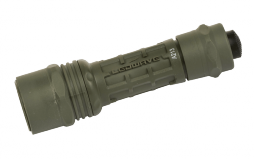 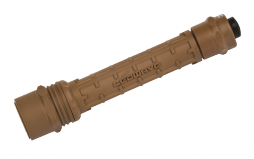 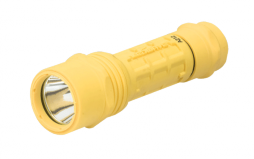 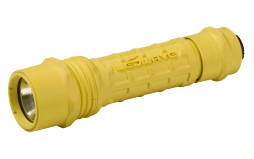 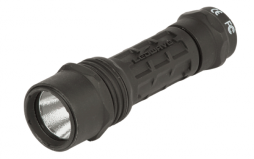 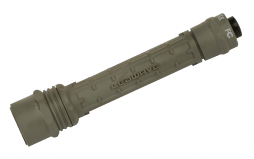 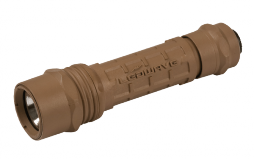 The LEDWAVE C-4 CAMO has a tailcap switch (push switch) to switch on and switch off the flashlight. 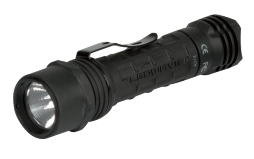 This model has 2 light intensities to select (one click for high mode and a second click for low mode). 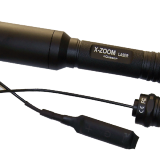 Puts out a smooth, brilliant, pre-focused, tactical-level beam almost double bright than a giant 5-D-cell flashlight-bright enough to temporarily blind and disorient a person by impariring his night-adapted vision.2nd generation LEDs are brighter than regular 6V Xenon high pressure bulbs and offer a magnificient colour temperature that Xenon tech. 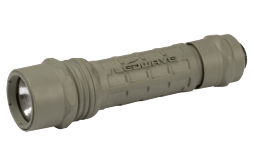 cannot achieve. 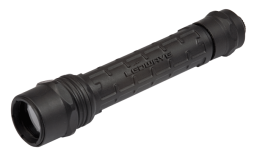 Light weight and astonishing high output make it a perfect for law enforcement, camping, emergency / preparedness kits, or every day carry.